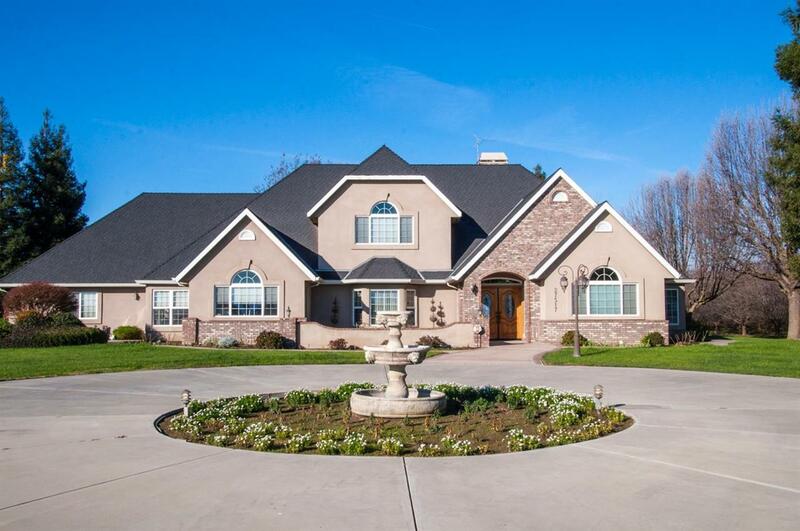 Exquisite, custom home on nearly one acre! This beautiful home has all the custom details you've been dreaming about: chef's dream kitchen with large center island, elegant millwork, breakfast nook, and the most amazing butler's pantry! Formal entry and formal dining room. Impressive great room with sky high ceilings, lots of windows, beautiful built in book/display cases and fireplace with special tile surround. French doors to back patio and views of the sparkling pool and poolhouse. Luxurious master suite with fireplace, his and hers dressing areas, his and hers vanities and soaking tub. Master suite is located on ground floor. Additional bedrooms are spacious and located upstairs. Executive office and den. Laundry room with tons of cabinet space and utility sink. Five star location, conveniently located near schools and shopping. Call to arrange your private showing today! Listing provided courtesy of Jillian Bos of Keller Williams Realty Tulare County.